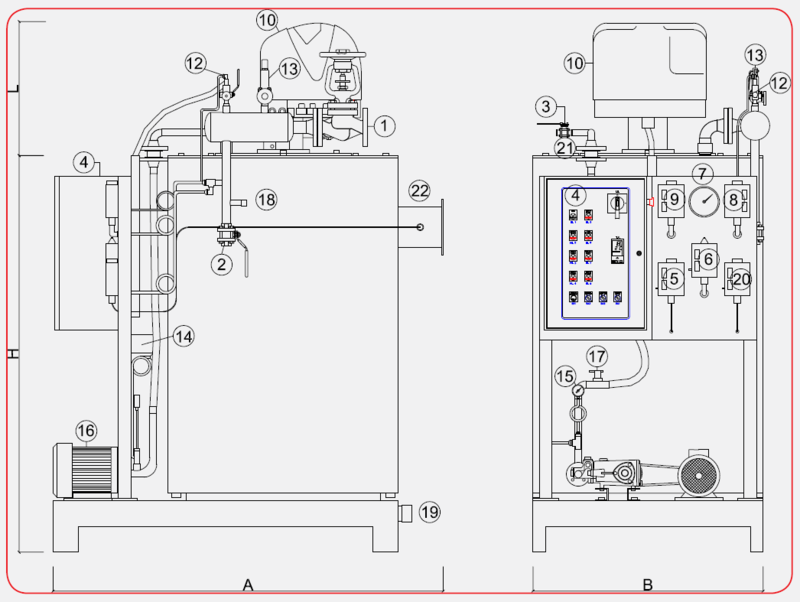 Vertical forced circulation steam boiler with 2 smoke passes and high efficiency. The internal coil is composed by two concentric coils made by P235GH steel pipe. The coil with the smaller diameter constitutes the combustion chambers that the free end rests on a base of refractory material. 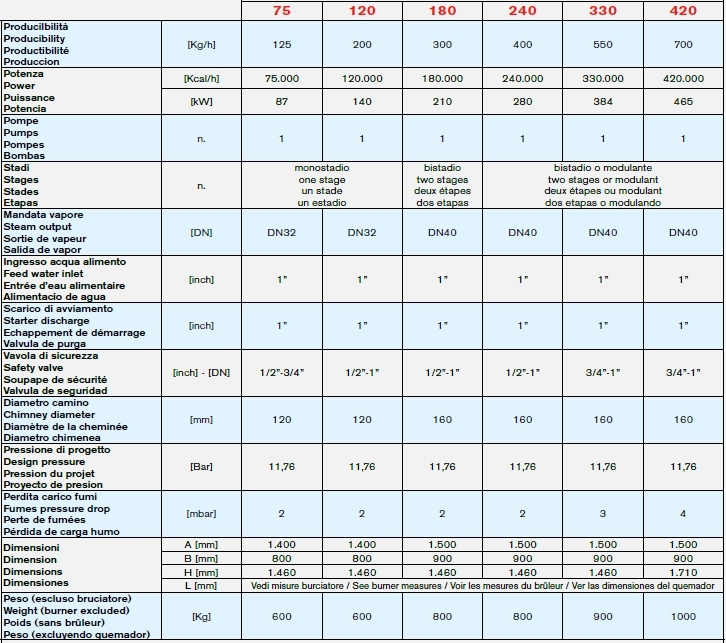 All pressure parts are designed second PED directive (97/23/CE). 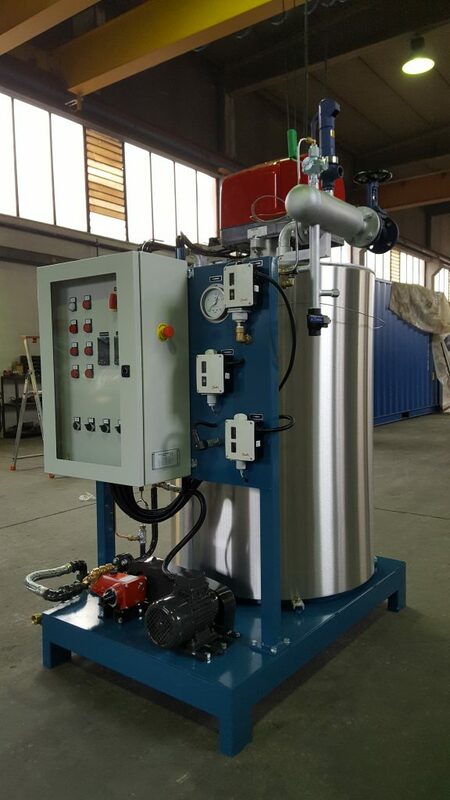 The special design of the collector is to encourage the separation of the liquid component of the steam. Not pressure parts are made by steel carpentry of important thickness. The cylindrical body is insulated with rock wool to prevent the thermal inertia. The boiler is openable at the top by refractory plate bolted.